Mention “spirituality” or “spiritual discipline” to most believers and they probably imagine things they must do for God. 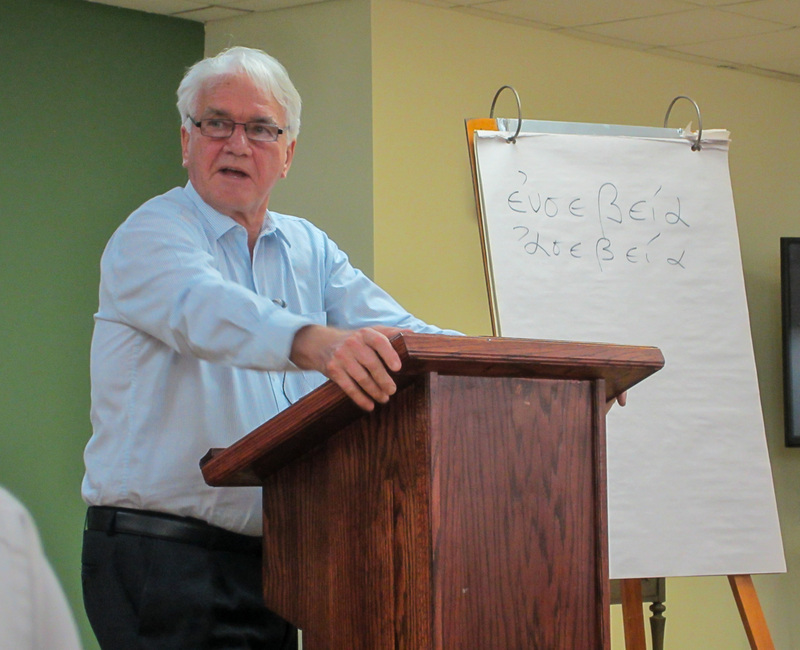 Dr John Kleinig, guest presenter at Concordia’s Student-Faculty Retreat held 28-29 August at Mount Carmel Spiritual Retreat Centre, pointed out that spirituality begins first with receiving. 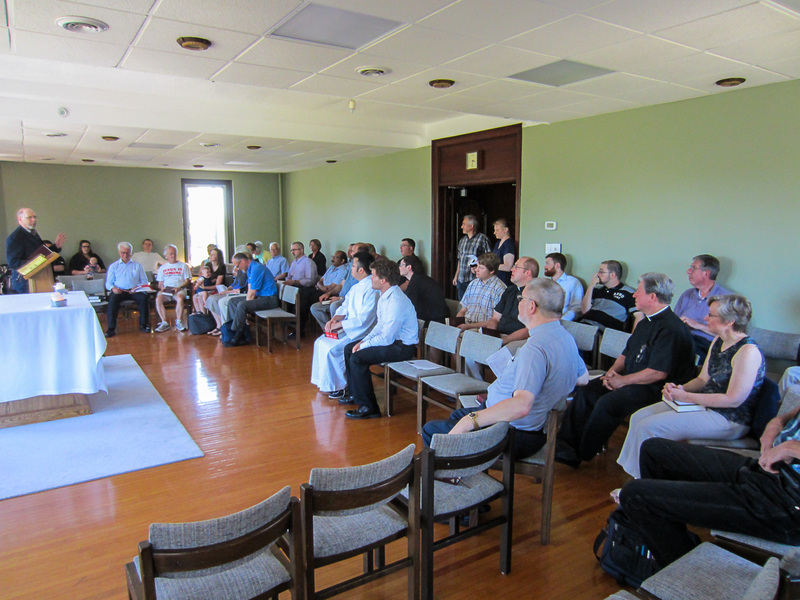 Under the theme, “Train yourself for godliness” (I Timothy 4:7), students, faculty, and district pastors and laity from Ontario and Western New York learned about the practice of receptive piety and receptive prayer before moving on to more familiar topics of self-examination and vigilance in spiritual warfare. The annual retreat provides an opportunity for the new students each year to start becoming more familiar with theological studies. The event was expanded this year to include others and 43 took part in the presentations, devotions and fellowship. 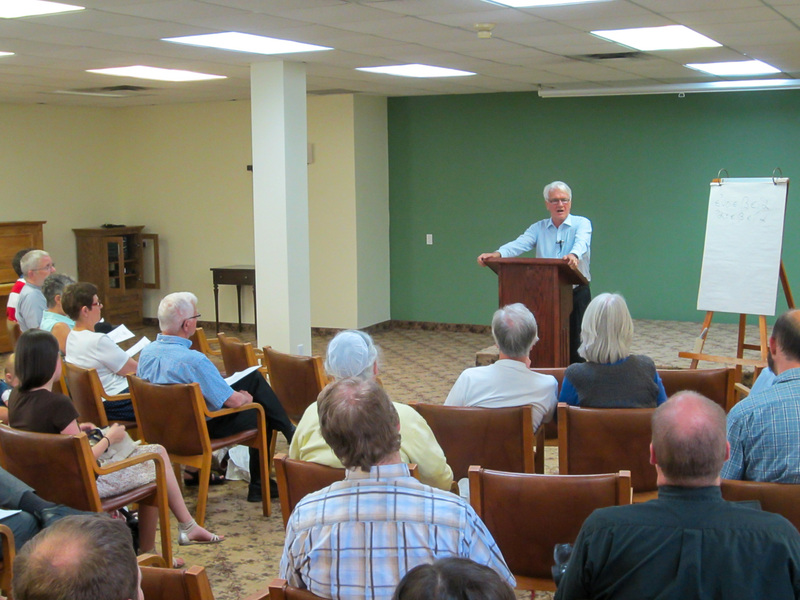 Dr Kleinig is also author of Grace upon Grace and the Leviticus commentary in the Concordia Commentary series (CPH). He was also the recipient of a Festschrift volume, You, My People, Shall Be Holy, edited by seminary faculty Drs John Stephenson and Thomas Winger.